Welcome back to the Friday Fiction Feature! The themes have returned, and this week, we’ve got an experiment in how different two books with the same title can be. All of the books today start with the same idea: a Labyrinth (which definitely doesn’t have anything to do with Tabatha’s project on the film Labyrinth). First up, is Labyrinth (Languedoc #1) by Kate Mosse, a contemporary/historical novel with an archeological turn. July 2005. In the Pyrenees mountains near Carcassonne, Alice, a volunteer at an archaeological dig, stumbles into a cave and makes a startling discovery-two crumbling skeletons, strange writings on the walls, and the pattern of a labyrinth. Eight hundred years earlier, on the eve of a brutal crusade that will rip apart southern France, a young woman named Alais is given a ring and a mysterious book for safekeeping by her father. The book, he says, contains the secret of the true Grail, and the ring, inscribed with a labyrinth, will identify a guardian of the Grail. Now, as crusading armies gather outside the city walls of Carcassonne, it will take a tremendous sacrifice to keep the secret of the labyrinth safe. 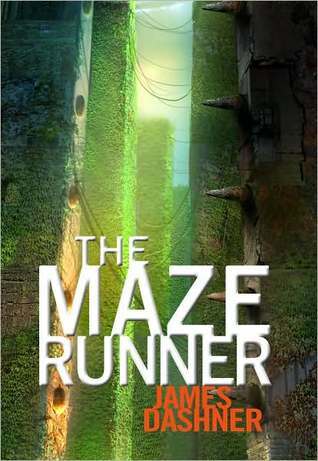 Next, in The Maze Runner (Maze Runner #1) by James Dashner we move into the more literal meaning of a Labyrinth, and the less literal meaning of ‘reality’ in this sci-fi thriller. For a sci-fi blast from the past, I’ve found Labyrinth of Evil (Star Wars: The Dark Lord Trilogy #1) by James Luceno, just for you! Capturing Trade Federation Viceroy–and Separatist Councilmember–Nute Gunray is the mission that brings Jedi Knights Obi-Wan Kenobi and Anakin Skywalker, with a squad of clones in tow, to Neimoidia. But the treacherous ally of the Sith proves as slippery as ever, evading his Jedi pursuers even as they narrowly avoid deadly disaster. Still, their daring efforts yield an unexpected prize: a unique holotransceiver that bears intelligence capable of leading the Republic forces to their ultimate quarry, the ever-elusive Darth Sidious. Swiftly taking up the chase, Anakin and Obi-Wan follow clues from the droid factories of Charros IV to the far-flung worlds of the Outer Rim . . . every step bringing them closer to pinpointing the location of the Sith Lord–whom they suspect has been manipulating every aspect of the Separatist rebellion. Yet somehow, in the escalating galaxy-wide chess game of strikes, counterstrikes, ambushes, sabotage, and retaliations, Sidious stays constantly one move ahead. Then the trail takes a shocking turn. For Sidious and his minions have set in motion a ruthlessly orchestrated campaign to divide and overwhelm the Jedi forces–and bring the Republic to its knees. Moving from the supernatural to the metaphysical, we’ve got The Labyrinth of Solitude and Other Writings by Octavio Paz, Lysander Kemp (Translator), Yara Milos (Translator). To finish this list of magic, science fiction, and philosophy, we have Labyrinths by Jorge Luis Borges. 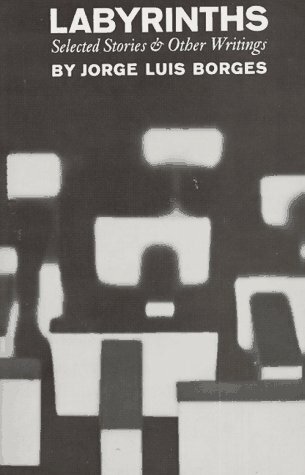 If Jorge Luis Borges had been a computer scientist, he probably would have invented hypertext and the World Wide Web. Instead, being a librarian and one of the world’s most widely read people, he became the leading practitioner of a densely layered imaginistic writing style that has been imitated throughout this century, but has no peer (tho Umberto Eco sometimes comes close). His stories are redolent with an intelligence, wealth of invention and a tight, almost mathematically formal style that challenge with mysteries and paradoxes revealed only after several readings. Highly recommended to anyone who wants their imagination & intellect to be aswarm with philosophical plots, compelling conundrums and a wealth of real & imagined literary references derived from an infinitely imaginary library.